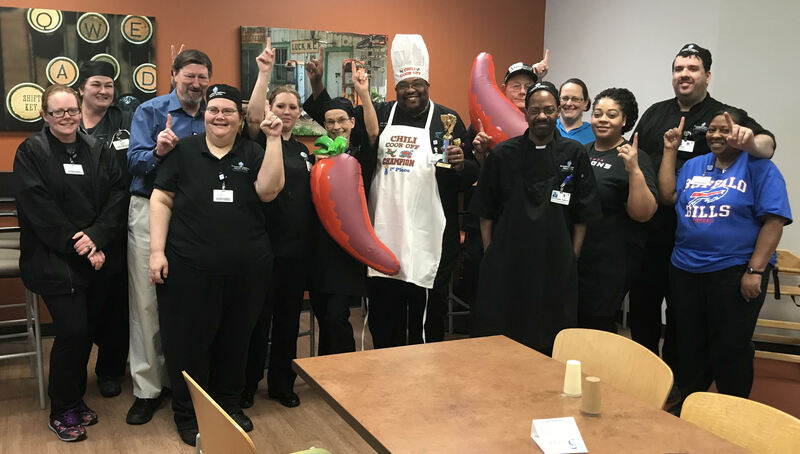 Chef Jonathan Aveirls and the rest of the culinary team at a medical center in Rutherford, North Carolina recently participated in a chili cook-off event that benefited the local community. The team took home first place in the competition and managed to raise $450 for the Rutherford County Schools Backpack Program, which serves about 950 food-insecure students throughout the county. Students are supplied with food items to bridge the weekend gap during the school year.